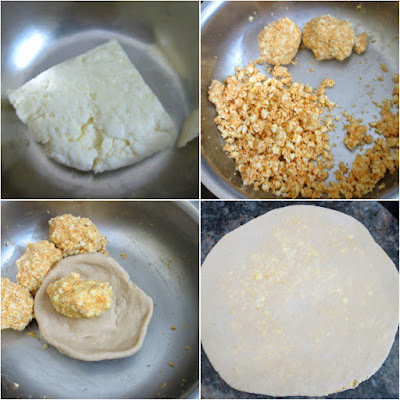 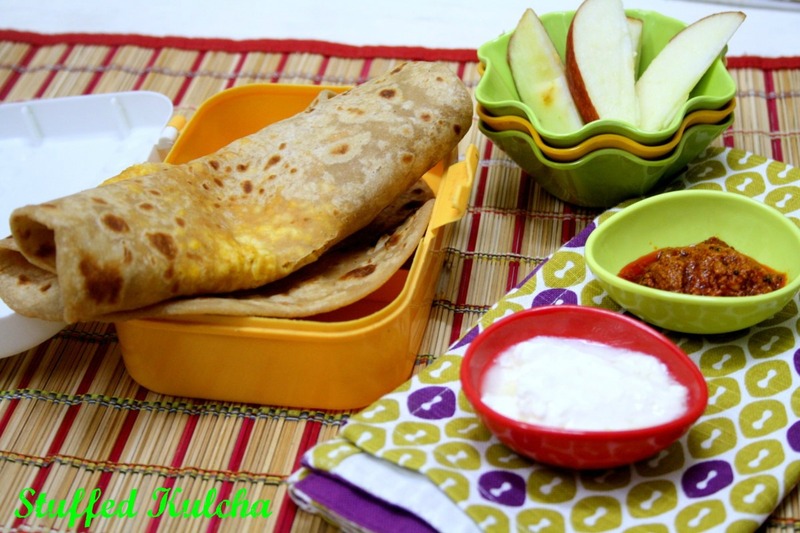 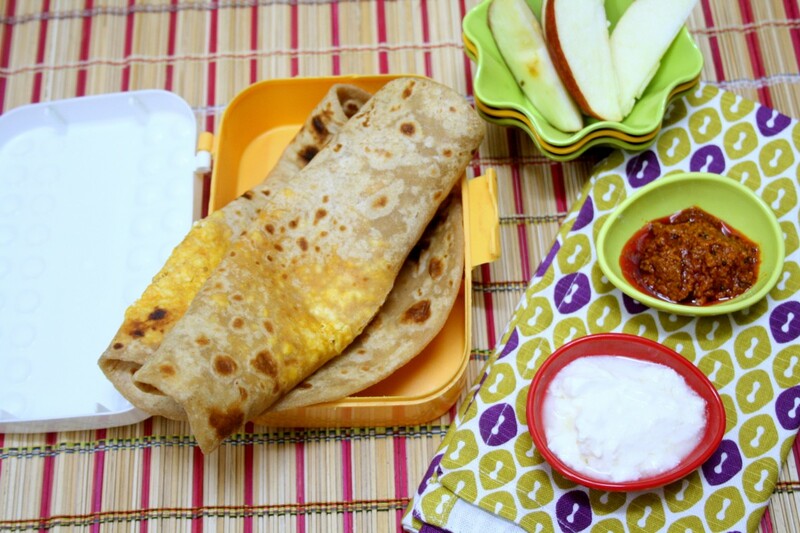 Kulchas are made with Maida using curds and baking powder. 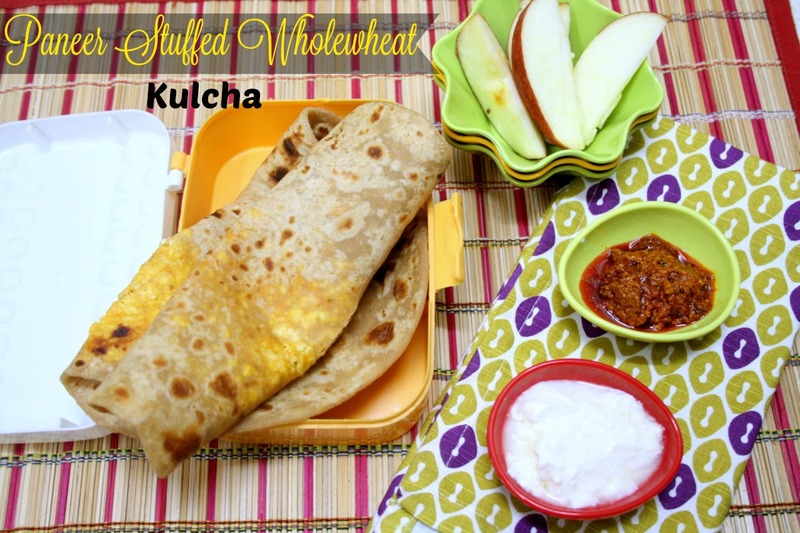 In this version, wheat flour is used and stuffed with paneer filling. 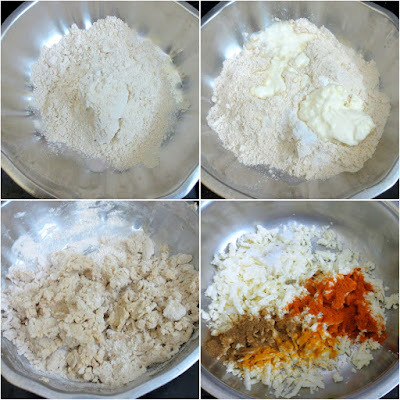 It stays good for the afternoon meal. I often make this for my kids and it is Konda's favorite one.